As a qualified Advanced Hypnotherapist, a Quantum Healing Hypnosis Practitioner™, NLP Trainer and Strategic Intervention Life Coach Natalie Hall facilitates positive inner and outer life change with individuals, couples and groups. Specialising in elimination of psychological blocks, anxiety, paic attacks, fears, habits, PTSD and excess weight whilst creating clarity, empowered choices, confidence, joy and inner fulfilment in alignment with an individuals highest goals and desires. Additionally many people enjoy exploring more about themselves in a past life regression, also highlighting future progress choices with Quantum Healing Hypnosis (the Dolores Cannon method). There are indeed many doors to change, these sessions are dynamic leading to positive changes in the shortest possible time frames. If you are at a point of transition in your relationship, work and life get in touch for your consultation and discover more about yourself at a deeper level so you can rewrite your life story. I was invited today to Bournemouth University to deliver a 45 minute talk about the processes I utilise in the treatment of trauma. The students were focussed on a project entitled ‘The contemporary treatment of trauma and mental health’. I detailed the benefits of NLP, Strategic Intervention Life Coaching in particular and what Advanced Hypnotherapy amd QHHT can offer to some as an alternative way of release. No wonder people travel from all over the country and beyond for their Strategic Intervention Life Coaching and NLP, Hypnotherapy and Quantum Healing Hypnosis Therapy sessions. Everyone loves the beach and Bournemouth beaches have just won Britains top beaches awards. I moved from South London in the Summer of 2016 with one idea “beach walks with the dogs” a beautiful space to live and carry on my personal development practice. A lady of a little under 80 years of age told me about her life in her pre talk when she came for her QHHT session recently. We also spoke about Dolores Cannon and I mentioned the last time I saw her physically was whilst supporting her Quantum Healing Hypnosis Therapy Training for the day in Glastonbury. I explained I was asked to be the subject and told that two separate students would work on me, and one life would have a body and the other was to not have a body. In this class demonstration I would not receive the QHHT induction for this either. This was to show the class the kind of experiences that can happen. I spoke about this to let this lady know that Quantum Healing can be so easy, as real past lives had come forward in that class for me without an actual induction. I feel this lady may have taken on my experience in this instance for herself, as after she went to the bathroom, I had suggested she could lay down and relax whilst I then use the bathroom before we would proceed into the hypnosis part. When I got back I told her that I would tell her a little more about what to expect. When I came back into the room, she said she was already having an experience and seeing things, this was a first for me as I normally would start with the induction before any sort of experience or past life regression emerged. I asked what she could see, and she started to describe a scene where she was looking at a Native American Chief talking to a group of Native Americans around a large fire. She was a little girl wearing a band around her head with a single feather, we explored a little more before she started to have a different past life experience automatically. We call this leap frogging in QHHT. She started to explain she could see that she was around 5 or 6 years of age sitting on a stone step in a flimsy dress in a large green garden in England and we explored some scenes from that life before she leap frogged again to being a boy on a Greek Island running over rocks that were wet by the sea. He was quite a wild child, with poor parents and he did not have an education. One day an older man came and asked whether he could take the boy to live with him so he could teach him. The parents agreed and he learned to read and write whilst being home tutored in a City within what looked like Cyprus. He eventually became a scholar and read a lot in a room surrounded by books and at home with an ornate desk with a leather top and he wrote with a quill pen. When he was old he lived as a recluse, and felt that the body was noticeably less energetic. On his last day he sat in his rocking chair with his long white beard surrounded by his books and drifted off naturally as he passed on. This was a life of education, but on reflection he noticed this was a selfish life in a way as he did not share his knowledge with other people, although when living the life it did not occur to him that it seemed the wrong thing to do. She then experienced floating over London seeing Saint Pauls Cathedral and noticing all the many people down below as dots in a hustle and bustle of activity. She came down without a body and could sense she was walking around with people and through buildings just taking colour and light to all these beings and places. She said, “I am using so many different colours it’s instinctive what to use in the different places. The different hues, colours and sounds as each colour has a sound of it’s own. Some people are aware and can sense what is going on and others are not. I am sent out as a messenger and a scout as I collect information to take back to a kind of spiritual hub. Others also do this, it’s about bringing much more light, healing and awareness to people. Next time I have to have a physical form, but I am not ready yet to go. This light is like a language transmitting to Earth making people aware of how to live differently and to make it not so dense. With this light they come into being in their light, changing structure, and know what they can do. Another leap frog experience came forth, this time living within a strong German family as a boy with two older and one younger siblings, a mother and a father. They ate stodgey food that he did not like but had to eat it in silence. School was another strict atmosphere in an all boys school and when he finally left he was relieved, but did not know what to do for a living. He eventually taught language, German and English which he enjoyed as he did this from his own apartment after he left his family home. He felt free from pressure and independent in his own apartment and there was enough room to have students come to him. His hobbies were cycling, running and exercise and he felt fit. After these lives were shown, the Subconscious confirmed these experience came in for awareness as they related to her Soul, as they are part of her, part of her experience. She wanted to help her adult child’s condition in this life, she had been very angry for years with a severe skin condition. The SC sought permission for remote healing, and confirmed she needed to release fear to experience freedom. The outer body peels away and she has to be strong and let go of fear regarding it. Be happy and step beyond it as only she can do that. Further questions were answered by the Subconscious including karmic relationship questions where she found out that she was the son of her now son and he was the father in a previous past life. She had successfully brought into this current life her healing abilities in speaking to help others and using colour therefore is on track in this life with her purpose. The Subconscious gave her healing and said it was making the physical body strong and kept the energy flowing unobstructed around the organs of the body. The body is getting lighter and lighter the SC stated. Then some coloured energy came through Blue and then Dark Green and after some minutes Dark Purple. She said she felt really good when guided to full awareness. I loved the way this wonderful lady was determined to be open and willing to commit to the experience even though she had emphasised concerns over the telephone twice as she booked the session and in her pre talk of possibly not being able to let go and go deep enough for the session. And then to discover so much about her souls journey and purpose even without an induction! Quantum Healing Hypnosis with Past Life Regression appointments are available in Bournemouth, Dorset. Please contact me to discuss availability. As an NLP / SI Life Coach it is easy to facilitate individuals to realise what they can do to take charge of their emotional state and choose how they want to be. Where necessary any emotional triggers from the past are released in the session, then processes and goals are focussed on going forwards. This means change starts wth conscious realisations how you can apply yourself differently to create positive change and with repetition these conscious choices become a way of being in reality. Hypnotherapy can be experienced in addition to utilising the personal development processes with your own personalised recording to play daily this works in additition to what has been established in the session and builds your own new chosen habits at a subconscious level. Please contact me if you suffer from anxiety. I can offer a Life Coaching & Hypnotherapy for Anxiety appointment to help you. The following post highlights some of what is focussed on in the Strategic Intervention Life Coaching sessions I facilitate, the post is written by my teacher and founder of SI Life Coaching Anthony Robbins. Habitual emotional vocabulary shapes and controls much of our emotional experiences in life – the labels we put upon our experience become our experience. Today, let’s take a look at how you can transform the quality of your entire life simply by becoming conscious of what habitual vocabulary you use for negative emotions, and shifting them with words that break your patterns and provide you with new and better emotional choices. The real secret to transforming your life is to wake up and become conscious of the patterns that are currently unconscious and shaping the way you feel. Ultimately the way we feel determines the quality of your life. You could have whatever you think life’s dream is—building a billion dollar enterprise or a family that totally loves and adores you—but if every single day you live with the emotions of feeling frustrated and angry, then the quality of your life is called frustration and anger—it has nothing to do with the economic opportunities you have, much less the love you are surrounded by. The quality of our lives is the quality of our emotions. Become conscious of the habitual words you use to describe your unhappy or distressing feelings. Begin to notice the labels you are putting on things. If you say something like, “I’m so worried about this,” stop yourself and acknowledge that “worry” might be too strong a word. Maybe what you really are is “a little bit concerned.” Monitor your language and make sure your language isn’t exaggerating the intensity of emotions. Or better yet, consciously pick a word that would lower the negative intensity (instead of saying that you are “furious” with someone, describe yourself as being a little “irritated” or “disappointed with their reaction”). If somebody asks you, “How’s it going?” instead of saying, “Okay,” what would be a word that might put a smile on your face to even say, that would break your own pattern? Like, “You wouldn’t even believe how I’m feeling!” with a smile, to be playful with yourself. Or a simple response like “I’m committed” or “I’m lucky” or “I’m grateful.” And then take a moment to think about what you are grateful for. We often lose sight of what’s beautiful in our life because of a few things that are out of line with our expectations. My wife Sage is truly a master of this. Her favorite language pattern is when most people would say “S**t” she says, “Sugar doodle,” or when something really brutal happens, she’ll often say “Ooooh Boy.” Her response seems so ridiculous. It’s not that she doesn’t know how difficult things are, but her state of joy is infectious – her language patterns don’t just break her patterns, but mine and everyone’s around her as well. She truly expresses more joy and happiness than anyone I know. Write down three words that you use to describe your experience that is somewhat positive. When someone says, “how’s it going?” come up with three alternative words that will amplify and intensify the positive feelings and inspire you. Instead of talking about how things are “all right,” replace those words with “incredible,” “outrageous,” and “spectacular.” What’s a positive word that if you really thought about your whole life, you could say and own congruently? Get leverage so you follow through. Pick two key people in your life – a close friend and ideally someone you respect that you would not want to disappoint. Pull them aside and explain to them your commitment to replace two or three key words in your vocabulary. I know this sounds ridiculous, but if you are committed, a simple reminder will get you to catch yourself and lower the intensity immediately. It will help you recognize that you have control of your own space in this moment and by simply selecting a different word, you can change the meaning completely. If you do this well, you’ll find yourself smiling while you do it, like an inside joke. But it’s impact is no laughing matter. Again, I know it sounds overly simplistic, but if you test it out and are diligent with it for 10 days, you’ll experience a transformation in your emotional patterns – and the emotional patterns we live are what control the quality of our life. You’ll even feel the difference in your body – a lot less pain and a lot more pleasure. Don’t you deserve to have a better quality of life? Plus when you’re in a great state, how do you treat others? The better your state, the more powerful the impact on everyone around you – your businesses, your friends, and your family. A Quantum Healing Hypnosis Therapy experience. The start of this QHHT session unfolds as a past life in a town within Italy. The weather was hot. The subject was a young woman of around 30 years of age, with elaborately styled hair wearing a brown dress and jewellery in her hair. She had rings on every finger and jewellery around her neck, with a lot of make up on, her body was very skinny. She held a scroll of paper. Looking and heading towards a church, she sees a priest that smiles as she walks in. She gives the paper to him. The priest reacts to seeing the paper. Then she walks out and leaves with a sense of relief, as her mission is accomplished. There is a boat waiting for her with 2 men one at the front and one at the back. She sits and relaxes fanning herself and holds an umbrella as it is so hot! The boat docks and the house is right there as she gets off. A man which seems to be the brother of the priest is there. There’s the impression that men are important, men do the important stuff. There is silence between this man and herself. She had just run an errand for him. She goes to a room where she sews, its pleasant but a little boring. She looks out of the window onto a well kept garden. The male gardener even has a bit of a temper, she’s not allowed to mess the garden up, but does spend her time walking the garden. She eats with the family, the man mentioned earlier as the brother of the priest is her father. They eat from metal plates, there’s a fork but she pulls at the chicken with her fingers and vegetables that are also on the plate. It’s a big table with her brother to the right, mother to the left and father head of the table. He is angry, shouting and banging the table. “Here we go again” she thinks. He seems to be angry at the world! It’s not us, he is angry and it’s to do with the message he sent. She argues with the groom and her opinion is irrelevant… They are upstairs and he tries to hold her wrists and her arms are up, with her hands close to her face. He pulls her closer trying to kiss her, she is in tears. she knew this was going to happen. Feels that nobody is on her side, if she told her father or brother they would be on his side. Its’s hopeless. There’s a sense that she thought she was in a loving family but is not. It’s about money, some sort of agreement with the arranged marriage. She gets the feeling of how can he ruin this beautiful dress as he throws her on the bed. He seems to have no sense of the beauty in this world and she wonders if he is just an animal? He is drunk, she pushes him off and he falls asleep. She opens the window, she is going to jump and then in the next moment is face down outside with her wedding dress on and now stands (in spirit) looking at her dead body laying there. There is learning here with a detached view of the life, and it was something about trust. It is usual that in some cases between one and three past lives, future lives, current lives, or parallel lives are explored and in this case another experience emerges, one where there are aliens, biological robots, holding him down with his current life body in space. He’s about 40 years old so this was a over a decade ago. Each Grey has a job to do at a particular part of the body and limbs. Next he sees himself standing and floating backwards whilst still on the bench. Then going upwards. There’s a tunnel shaped to his form and there are others in the tunnel. The other side of the tunnel is a room and this is where he / they put their clothes on and he goes through a tunnel back to his flat in Ealing. It’s 2am back home he sees the time on his clock and goes back to sleep. As with many Quantum Healing sessions there is a healing energy that works through the body and his body had been quivering during this, and I could see the quivering and lots of energy. Individuals feel good receiving the healing energy. When speaking to the Subconscious directly the SC confirmed the learning from the life shown was indeed about Trust. To be careful whom you trust. The alien experience was shown to him for clarification. He like others had been used for reproduction. They take the DNA lots of times to produce children who will come back. If you’re interested in Quantum Healing with Past Life Regression please contact me. As an active Quantum Healing Hypnosis Therapy Practitioner I belong to the official Dolores Cannon QHHT Forum. The below is a description of my colleague’s session story, that clearly explains the benefits many experience with Quantum Healing Hypnosis Therapy. Miracles are common in my office. You have the power to heal yourself. Your emotions and thought patterns cause your ailment, pain, disease, unhappiness. ~ These are statements I say to my QHHT clients often. One of my client’s this week demonstrated that after enduring a life of discomfort, being brought back from death and a hopeless prognosis from doctors that she was ready to take back her power, her health and her wellbeing. It began with her making the appointment. She mentioned to me as we got settled in my office that she had been unexpectedly happy in the weeks since making her appointment. To me, that is validation that she was ready for big changes. As I listened to her life story, I realized she was very lucky to even be alive. She was told 2 decades earlier that she only had four years to live. She told me she firmly decided the doctors were wrong. But the prognosis had not been good. She was a walking medical mystery. She was born with a plethora of issues including: Tracheal Hypoplasia, Pulmonary Valve Stenosis and Stenotic Pulmonary Arteries. These led to a life of never getting enough oxygen, having limited energy and always gasping for breath. Simple tasks were difficult if not impossible. She said on the outside she looks normal and it was hurtful the way people treated her because of the limitations her insides presented. They couldn’t see how mixed up her body was and judged her. She had over ten more serious health issues. One of the very important discoveries Dolores Cannon made in her decades of hypnosis work was how the body is always sending us messages; especially when we are off track with our life purpose. The body is a very literal message giver. Once we truly understand the message there simply is no reason to hang onto the symptoms. Julia Cannon has written a wonderful book explaining this called Soul Speak, The Language of your Body. As it is in a QHHT session, once she had shared her life story and showed me a list of questions she would like to have answered by the aspect of herself that knows everything (High Self, Subconscious, Soul Self), I guided her into a deep state of hypnosis. She visited two past lives and spent some time on the spirit side with her teacher preparing for another life on Earth and as an angel helping souls prepare for coming to Earth in the great shift. Chest: (her main three issues were here) She started by taking very big breaths and then her SS said it was opening the chest. She was born this way to prove that she could heal herself, to slow her down so that she would pay attention to life. It explained it was opening her heart with light and it will be stronger and she will breathe easier. These issues were to make her focus on observing life around her and the people within it. Her SS said the heart will be fully healed in five months and her esophagus would be fully healed in one year and she was encouraged to meditate to speed the healing. Tennis elbow with both arms: SS said it was caused by not moving forward in her life. She needs to write and teach the world love, that we are more than our bodies and to release and let go. Mind: Helping her to love all and noting she will be strong. Back: Her back aches because of the heavy load of problems she carries. She was helped to let them go. SS reports the back is healed. Birthmark on her arm: She wanted to know why she had it: SS said it was a flower from Spirit to remind her that she is more than she thinks. A tattoo from Spirit. Left side of her heart was enlarged: SS said she loves big and it is fine. Edema: This teaches her to put herself in other’s positions and guides her to take better care of herself. High Blood Pressure: SS said it will no longer be an issue; she has heard Us. Hypothyroid: She does not speak her truth. This causes her throat problems and slows her down. SPEAK YOUR TRUTH! Arthritis: This was caused by thinking bad about herself, thinking without her heart. Her SS said, “A book isn’t a book without a story. Otherwise they are just words that make no sense. Her story is significant and should be shared. We are love. Love is everything. Asthma: Fear of living; it is a reaction of fear. Eye Allergies (weepy eyes): To let go, release emotion for this allows the sadness to flow and heal. Hardened cartilage in the ears and throat: To remind her to listen and speak. It recommended her to focus on listening and said her mind moves fast, she loses focus on her tasks. Gluten Intolerance: She has this to focus on eating better. It would not heal this because it kept her taking better care of her body. Whistling in ears (very recent): Her SS said they needed to speak with her and remind her to connect and to listen. To get her attention. She is due to go back to a world renowned medical facility to monitor her issues. She dreaded doing so and wanted to know what her SS had to say about it. It stated that she should go back and get tests! These tests would prove that she healed herself! She should tell the doctors, “I healed myself!” She is strong and will live a long life. Her Soul Self gave sweet words of advice. It said that every negative thing is nonsense; to flow and let go. Her purpose in this life is to teach love and guide people; to show them they are more than they perceive, to talk & write about love. They told her to do this all the time, even when it is inconvenient. They agreed to open her memories from the spirit side when she was an angel teaching souls how to bring love to Earth. They recommended that she work with older people who were ready to transition. She was told they fear passing to this realm. We are love, there is no pain and will be quickly guided Home and there is an ease to letting go; just like letting go of a balloon filled with helium. “Despite some self doubt and some naysayers, intuition and circumstance has guided me to QHHT. “Stunning!” “Spectacular!” “Glorious!” These are just some of the words I have used since my session. The feeling of the golden healing light that embraced me during the session Suzanne facilitated for me was more magnificent than words in our language could ever describe. This experience has revitalized hope and understanding in myself, gifted me with profound clarity and a has me motivated to surge forward on a more focused path. 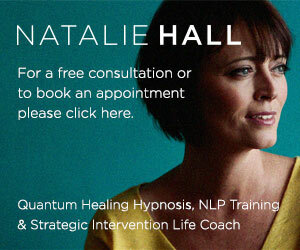 If you are interested in Quantum Healing Hypnosis, I offer appointments in Bournemouth, Dorset. Please contact me today.